The first of its kind in Lisboa. Discover why. 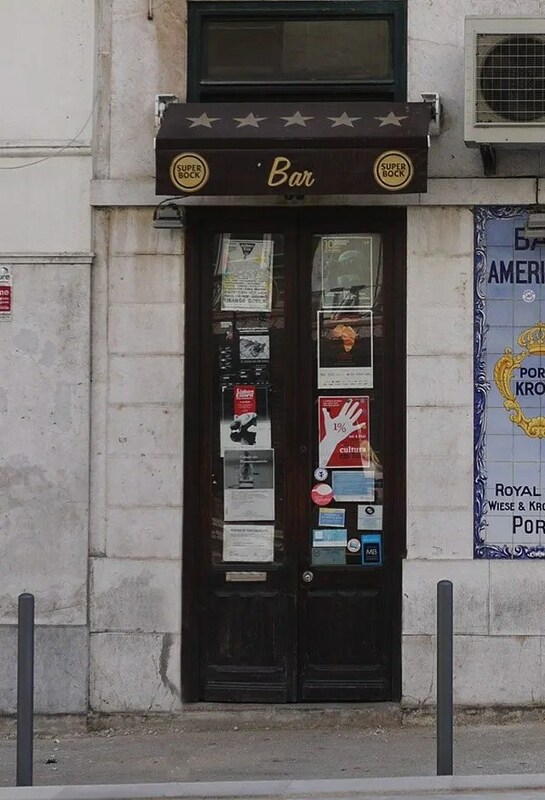 Listening to Springstein and drinking Sagres and Super Bock isn\u2019t what you would expect to find here, but their kitchen is open late and there\u2019s usually enough room to grab a seat with your burger at a table or at the bar (which is why it’s called American Bar – it was the first of its kind oh 30 years or so ago). There’s usually live music, sometimes by incredibly talented musicians, from all over the world. Run by a friendly but no-nonsense Russian and Ukrainian duo, this place has good vibes and is a favorite among the bar staff getting off their shifts nearby late in the night. If you can get in before the doors close, it’ll be especially fun.